Transcript of the debate on feminism and new materialism with Jules Sturm and Katharina D. Martin at the Wijsgerig Festival Drift Amsterdam. 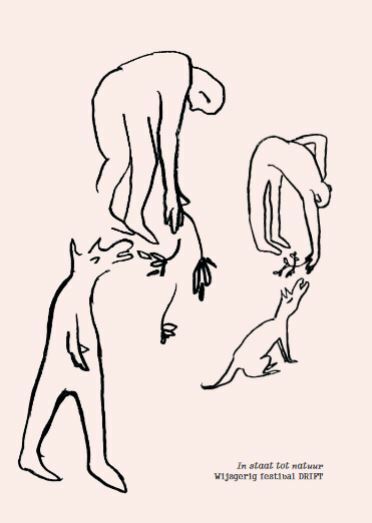 Considering that there seems to be a third party to any conceptual binary, a disruption to any normality, an exception to any universality: how to be respectful rather than prejudiced, how to be pleasantly surprised rather than shocked at the eccentric? Daughters of Chaos: Discipline, Practice, a Life. 8th Deleuze Studies International Conference in Stockholm. ‘Daughters of chaos’ describes the filial role with which Gilles Deleuze and his collaborator Félix Guattari have anointed the disciplines of philosophy, science and art, suggesting that disciplinary formations and their respective practices enable us to make sense of the diverse cultural and natural phenomena of local environments in relation to collective global concerns. IX. Kongress der Deutschen Gesellschaft für Ästhetik. Techne – poiesis – aisthesis. Technik und Techniken in Kunst und ästhetischer Praxis. International Conference Proceedings, Andrej Radman und Stavros Kousoulas (Eds. ), | The ambition of the 3C conference (13. – 14. 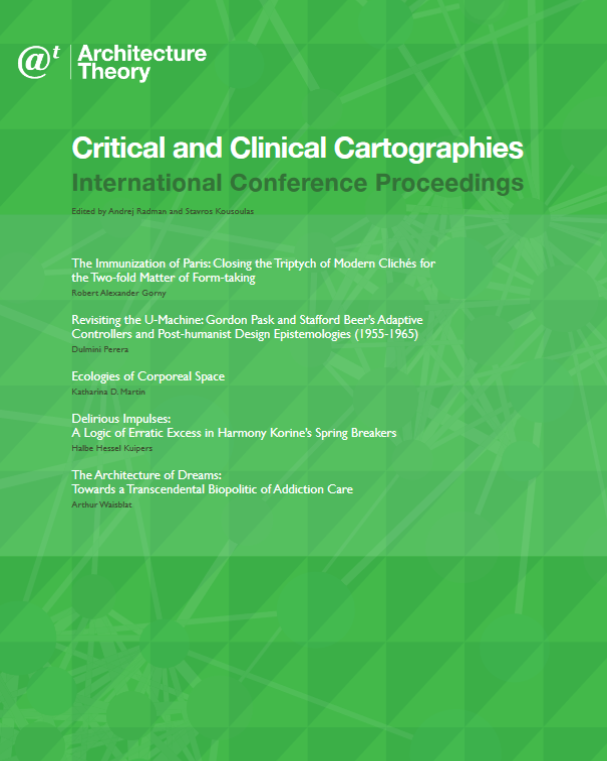 November 2014 Critical and Clinical Cartographies) was to rethink medical and design pedagogies in the context of digital technologies. Cyber-physical technologies, a current locus of architectural and medical practices, assist the shift from the physical body to embodiment. Long after its impact on medical practices, digitalisation further challenges the ecological, economic and aesthetic habits of the architectural milieu. The Society for European Philosophy and Forum for European Philosophy | Joint Annual Conference Utrecht University | The SEP/FEP conference is the largest annual event in Europe that aims to bring together researchers, teachers and others, from different disciplines, interested in all areas of contemporary European philosophy. WHAT IMAGES DO | Symposium at The Royal Danish Academy of Fine Arts, Copenhagen. Keynotes speakers: Georges Didi-Huberman – Jonathan Hay – Jacques Rancière. The aim of this symposium is to contribute to our understanding of what the image does (its pragma). The awkward entanglement of being and non-being (Plato) calls for an examination of the image as an act or event. International Conference Inside. Outside. Other. The body in the work of Gilles Deleuze and Michel Foucault organised by Anne-Cathrin Drews and Katharina D. Martin and at the Academy of fine Arts Münster. The aim of this interdisciplinary conference is to examine the significance of the body in Deleuze’s and Foucault’s works. This is particularly relevant in view of the intellectual exchange between the two philosophers.